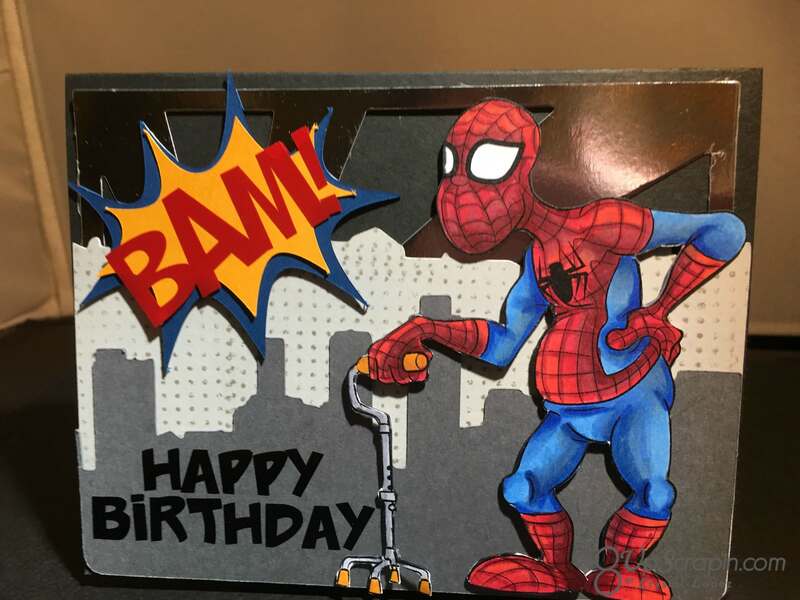 Happy Birthday Spider Stan !!! You are here: Home / Scrappy / Happy Birthday Spider Stan !!! 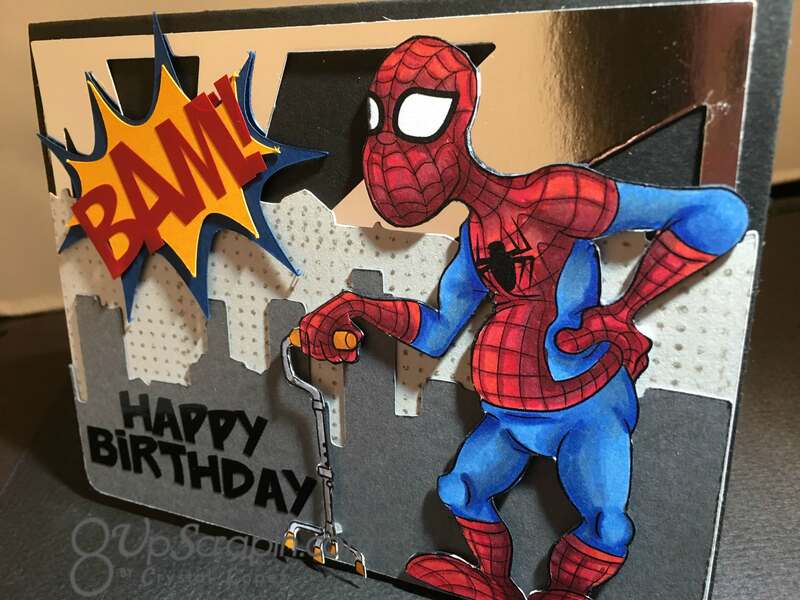 It’s Crystal here and today my card features Spider Stan from Doctor Digi’s House of Stamps .I really love the ” Old Super Heroes Dr. Digi has created in his line, they really make fun Birthday cards and my husband gets a kick out of them as much as I do. to make my card I used a sun-ray background die with silver foil cardstock , my city scape was cut on my Silhouette as was the comic bubble , Bam was cut from red vinyl and added to comic bubble and the Happy Birthday is cut from black vinyl, I love using vinyl to add words to my cards , it kinda looks heat embossed don’t you think. My Image was copic colored . 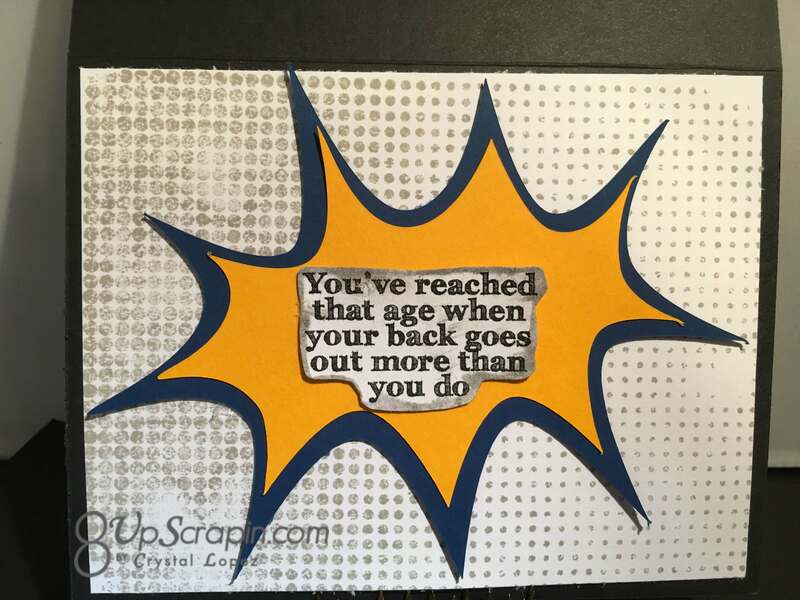 I hope you have been inspired to stop by Dr. Digi’s House of Stamps and check out all his awesome stamps,they really inspire great cards to be created and they are so fun to give !! !